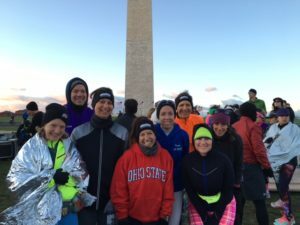 Our Virtual Winter Group Program will begin on December 2nd and run through the end of April, with schedules appropriate for beginner, intermediate, and experienced runners. Goal races include the Cherry Blossom 10-Miler,* GW Parkway Classic 10-Miler, and Pike’s Peek 10K. We will help you stay focused on your goals over the winter months with an online calendar and training log, expert guidance, accountability, and coaching support. For those training for spring half marathons, we encourage you contact us and check out our private virtual coaching services. New this year! All participants receive an online training calendar and workout log through Final Surge, which allows runners to view and log workouts from a smartphone or desktop, as well as track and analyze progress and communicate with other program participants through the online message board. All participants will receive a schedule tailored to their experience and goals, just as we offer in all of our group programs, along with weekly email communication and coaching support. We will also have periodic opportunities throughout the program for in-person informational sessions with coaches and guest speakers. Early registration fee through November 25th is $85 for the five-month training program. After November 25th, registration is $99. Click here to register. We will be starting our popular Summer Speed and Strength Program on Sunday, May 5th, so we hope that this virtual program will bridge any gaps in your training and help you stay on track. Please remember that we do still offer Private Virtual Coaching. 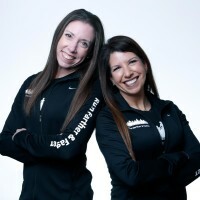 If you are looking for coaching for a specific race with workouts personalized to your schedule and your specific level, please talk to us about this option or read more here. *Runners planning to run the Cherry Blossom 10-Miler should enter the registration lottery between December 1st and December 12th. See more information on entry procedures here.